Synopsis: TRUST NO ONE! Here’s the edge-of-your-seat sci-fi thriller, based on the classic novel by Robert A. Heinlein (Starship Troopers), that delivers unrelenting suspense and nonstop action. 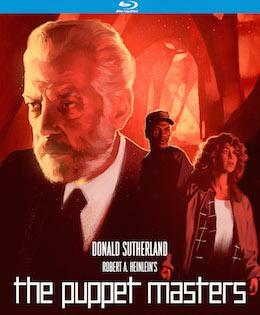 Donald Sutherland (Klute, Ordeal by Innocence) leads a team of top-level government agents who make a chilling discovery: extraterrestrial beings have landed and are quickly taking control of the residents of a small Midwestern town – manipulating their bodies and minds like puppets. Faced with an escalating crisis as the creatures multiply and spread, the team must somehow eliminate the seemingly unstoppable aliens. Eric Thal (A Stranger Among Us), Julie Warner (Indian Summer), Keith David (They Live), Will Patton (No Way Out), Richard Belzer (TV’s Law and Order: Special Victims Unit) and Yaphet Kotto (Truck Turner) co-star in The Puppet Masters, filled with riveting special effects and heart-stopping action that is sure to thrill everyone. Synopsis: From National Lampoon and screenwriter John Hughes (Weird Science, National Lampoon’s Vacation) comes this very funny teen horror parody set in the hallowed halls of a boarded-up high school. It’s been 10 years since Lizzie Borden High School’s class of ’72 graduated, and everyone-the preppies, the hippies and the in-crowd-has returned to reminisce over good times past. But classmate Walter Baylor has returned too-with a vengeance. While the rest of the gang is misbehaving at its alma mater, Walter, who was a misunderstood freak then and a certified psychopath now, is still not over a prank played on him a decade ago and out to wreak havoc of a different sort. Roger Corman alumnus Michael Miller (Silent Rage, Jackson County Jail) directed the hilarious cast that includes Gerrit Graham (Used Cars), Michael Lerner (Barton Fink), Miriam Flynn (National Lampoon’s Christmas Vacation), Stephen Furst (Up the Creek), Zane Buzby (Up in Smoke), Art Evans (Die Hard 2: Die Harder), Misty Rowe (TV’s When Things Were Rotten), Anne Ramsey (Throw Momma from the Train) and soap opera legend Jacklyn Zeman (General Hospital). 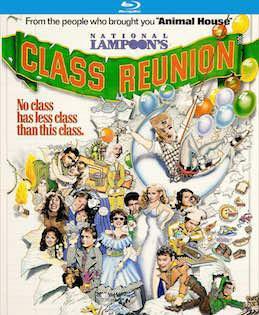 National Lampoon’s Class Reunion will make you scream and shake… with laughter! 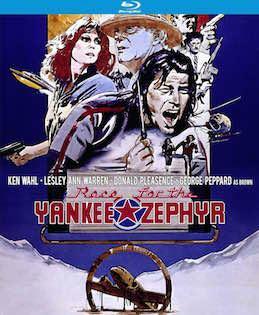 Synopsis: Ken Wahl (The Soldier), Lesley Ann Warren (Cop), Donald Pleasence (The Black Windmill), George Peppard (Cannon for Cordoba) and Bruno Lawrence (The Quiet Earth) co-star in this action-adventure yarn about a group of people in search of a missing plane with a cargo of $50,000,000. Barney (Wahl) and Gilbert (Pleasence) are local hunters with an ancient helicopter who first find the submerged wreck of The Yankee Zephyr. Sally (Warren), who runs a local mission, is persuaded to invest in their search-on the condition that she can tag along. Unbeknownst to them all, Theo Brown (Peppard) and his gang of mercenaries are watching and waiting for their chance to move in on the treasure. Treachery and hilarity go hand in hand as these unlikely soldiers of fortune vie for the vast wealth of The Yankee Zephyr-in this most entertaining and exciting adventure directed by David Hemmings (The Key to Rebecca) with a rousing and memorable score by Brian May (The Road Warrior). Synopsis: THE REVELS… THE RAVAGES… THE REVOLT OF THE AGES! 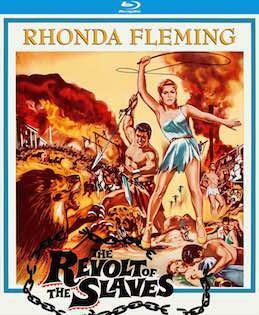 In this biblical action-adventure, set during the waning years of the Roman Empire, Fabiola (Rhonda Fleming, Jivaro, Bullwhip), the beautiful daughter of a wealthy patrician, falls in love with a Christian slave, Vibio (Lang Jeffries, Alone Against Rome). Veteran writer/director Nunzio Malasomma (15 Scaffolds for a Murderer) directed this epic international hit featuring early performances by Fernando Rey (That Obscure Object of Desire) and Serge Gainsbourg (Je t’aime moi non plus). 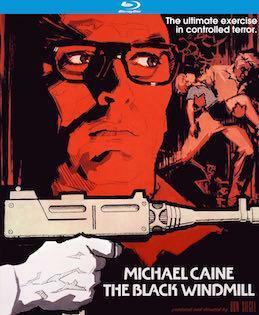 Synopsis: Screen legend Michael Caine (The Wilby Conspiracy, The Holcroft Covenant, The Whistle Blower) is a British secret agent targeted for death by friend and foe alike in this riveting tale of mystery and suspense directed by the great Don Siegel (Dirty Harry, Charley Varrick, Madigan). This breathless story of international intrigue finds a determined Caine taking up the revenge trail when ruthless gunrunners kidnap his young son and demand a king’s ransom in uncut diamonds for the boy’s release. With each new lead Caine’s chilling quest becomes increasingly deadly as he begins to suspect that one of his colleagues is in league with the merciless abductors. Donald Pleasence (Halloween), Clive Revill (Avanti! ), John Vernon (The Outlaw Josey Wales), Joss Ackland (White Mischief) and Catherine Schell (The Return of the Pink Panther) are among those involved in the spine-tingling, high voltage chase that ends at the infamous Black Windmill. One of the many highlights of The Black Windmill is the rousing score by composer extraordinaire Roy Budd (Get Carter, Kidnapped). Synopsis: Screen legend Joan Crawford (Daisy Kenyon) stars as Lynn Markham, a widow who moves into a beach house where the former owner had fallen to her death. What had seemed like an accident turns to suspicion of murder as Lynn finds herself drawn into a torrid affair with a handsome beachcomber (Jeff Chandler, Ten Seconds to Hell) who may be harboring a sinister secret. 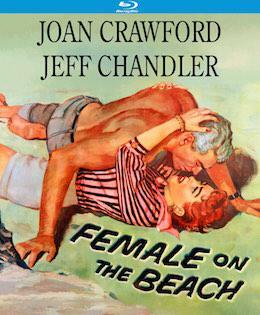 Wonderfully directed by Joseph Pevney (Foxfire), Female on the Beach is a stylish showcase for Crawford’s intense performance and features a stellar cast that includes Jan Sterling (Man with a Gun), Cecil Kellaway (Marty) and Natalie Schafer (TV’s Gilligan’s Island) in key supporting roles. Synopsis: I don’t care what they call you! I only know that you’re all man… and all mine! While vacationing in Arizona, beautiful socialite Amanda Lawrence (Jane Russell, The Outlaw) meets handsome Jonathan Dartland (Jeff Chandler, Man in the Shadow), an engineer at the local copper mine. The whirlwind courtship is culminated in a marriage hotly contested by Amanda’s mother (Frieda Inescort, Pride and Prejudice), who has learned that Dartland is a half-breed Apache Indian. To complicate matters, Amanda impulsively turns for sympathy to Dr. Hugh Slater (Dan Duryea, Scarlet Street), a life-long friend of Dartland’s, who falls in love with her. 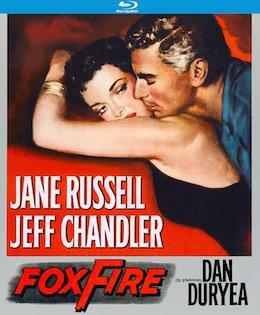 Stylishly directed by Joseph Pevney (Female on the Beach), Foxfire features a top-notch cast that includes Mara Corday (Tarantula!) and Barton MacLane (The Maltese Falcon). Brand New HD Master from a 4K Scan of the 35mm Trucolor Original Negative! Synopsis: It’s 1834. Texas is being strangled by the tyrannical military rule of General Santa Anna (J. Carrol Naish, Canadian Pacific), Mexico’s power-mad president. When frontier hero Jim Bowie (Sterling Hayden, Naked Alibi) returns to his besieged homeland, he finds the embittered Texans plotting rebellion against his old friend Santa Anna. When Santa Anna’s cruel grip tightens around his fellow Texans, Bowie soon realizes he must side against the Mexican despot. Commanding a ragtag regiment of frontier fighters, Bowie prepares to make a final stand at the famed Fort Alamo against superior forces. Though they are all doomed to die, the outnumbered Texan defenders fight heroically for freedom in one of the fiercest and bloodiest battles in American history. 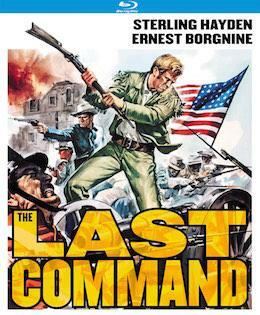 The final feature film directed by the two-time Academy Award-winning filmmaker Frank Lloyd (Mutiny on the Bounty) features an amazing cast that includes Anna Maria Alberghetti (Ten Thousand Bedrooms), Richard Carlson (The Maze), Arthur Hunnicutt (El Dorado), Ernest Borgnine (Marty), Ben Cooper (A Strange Adventure), John Russell (TV’s Lawman), Virginia Grey (Unknown Island), Jim Davis (TV’s Dallas), Eduard Franz (The Scar), Otto Kruger (Saboteur), Russell Simpson (The Grapes of Wrath) and Slim Pickins (The Getaway). Brand New HD Master from a 2K Scan of the Original Camera Negative! 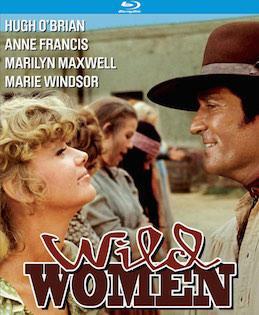 Synopsis: In this 1970 western directed by Don Taylor (The Great Scout and Cathouse Thursday), Hugh O’Brian (Ambush Bay) plays an Army engineer who recruits a band of boisterous female prisoners to accompany him on an undercover map-making assignment. The wonderful cast includes Anne Francis (The Satan Bug), Marie Windsor (Support Your Local Gunfighter), Marilyn Maxwell (The Lemon Drop Kid), Sherry Jackson (Come Next Spring) and Cynthia Hull (High Yellow).